Allah Almighty promised Abraham peace be upon him that He will cause for people from all around the world to come and proclaim the pilgrimage to the House (Kaaba) that he built. "When the Pilgrimage was proclaimed, people came to it from every quarter, near and far, on foot and mounted. The 'lean camel' coming after the fatiguing journey through distant mountain roads typifies the difficulties of travel." "Labbaika Allahumma, Labbaik, Labbaika laa shareeka laka labbaik. Innal-Hamda wanni'mata laka wal mulk La shareeka lak". What is the difference then between the hindu idols and the Kaba? What about the black stone near the Kaaba? How sacred is it? 18 The Israelites went up to Bethel (the House of GOD in Hebrew) and inquired of God. They said, "Who of us shall go first to fight against the Benjamites?" The LORD replied, "Judah shall go first." "Behold! 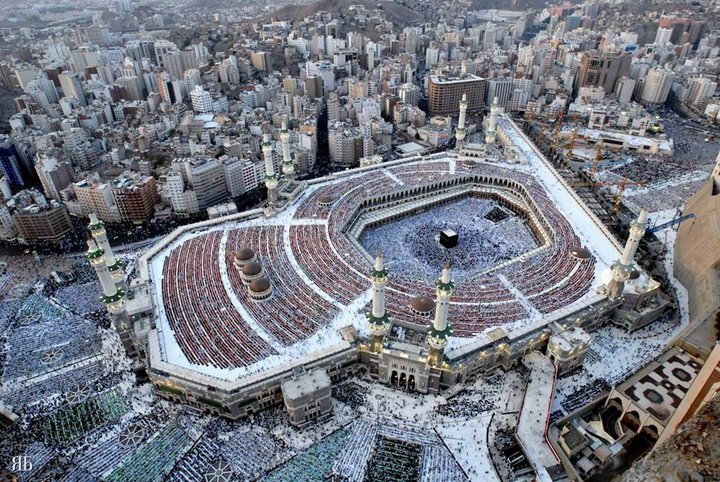 We gave the site, To Abraham, of the (Sacred) House (i.e., the Kaaba), (Saying): 'Associate not anything (In worship) with Me; And sanctify My House For those who compass it round, Or stand up, Or bow, or prostrate themselves (Therein in prayer). 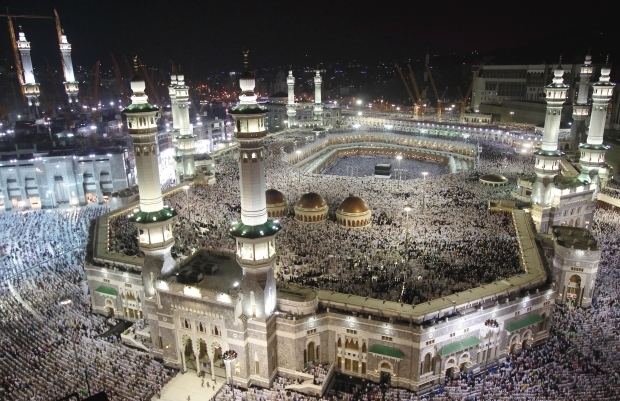 And proclaim the Pilgrimage among men: they will come to thee on foot and (mounted) on every kind of camel, lean on account of journeys through deep and distant mountain highways; (The Noble Quran, 22:26-27)"
As we clearly see, the "House of GOD"Almighty is mentioned in both the Bible and the Noble Quran. The Prostration to GOD Almighty in either His House or in the direction of His House (if you live far away) is the most proper way of Worship according to both the Bible and the Noble Quran. "God forgiveth not that partners should be set up with Him; but He forgiveth anything else, to whom He pleaseth; to set up partners with God is to devise a sin Most heinous indeed. (The Noble Quran, 4:48)"